The new breast imaging codes and associated payer edits have created coding challenges for 2015. While most people were happy to receive the new codes for tomosynthesis, the new codes for breast ultrasound and new coding guidelines for percutaneous breast procedures and postprocedure mammograms caught some people by surprise and raised documentation and reimbursement issues. It is important to keep in mind that the payer policies and billing guidance related to these codes are changing at a rapid pace so this information may only be as current as the publication date of this article. It is imperative that coders stay up to date with the most recent authoritative guidance sources impacting the coding, edits, and appropriate modifier usage for these procedures. Four new procedure codes now exist for reporting tomosynthesis. In the 2015 CPT manual, three new procedure codes were introduced and the Centers for Medicare & Medicaid Services (CMS) also created an additional new G code for tomosynthesis for use as of January 1, 2015. Understanding when and how to appropriately assign these new codes is essential to ensuring accurate coding and compliant reimbursement. One of the new procedure codes is designated for screening services. When tomosynthesis is performed in conjunction with a regular screening mammogram (77057 or G0202), the new add-on code 77063 (screening digital breast tomosynthesis [DBT], bilateral [list separately in addition to code for primary procedure]) should be reported. The CPT manual indicates that 77063 should not be reported together with the regular 3D rendering codes 76376/76377, or the regular diagnostic mammography codes 77055/77056. Medicare does provide coverage for screening tomosynthesis, but most other payers consider this service to be investigational and will not provide separate payment at this time. As a result, it is important that coders remain current on the policy of top payers regarding tomosynthesis. The remaining three tomosynthesis codes are used to report services performed in conjunction with diagnostic mammograms. Two of the codes are regular CPT codes (77061-77062) and the remaining code is the new HCPCS code (G0279). In addition to the new codes for tomosynthesis, the diagnostic mammography Medicare "G" codes (G0204/G0206) for direct digital images were revised to include new language to allow for the use of equipment that produces direct digital imaging or "producing direct 2D digital image." This change was made to ensure that the codes could be assigned regardless of the equipment utilized since the machines will either create direct 2D images or produce 2D images from a 3D acquisition. When billing Medicare for DBT performed in conjunction with a diagnostic mammogram, add-on code G0279 (diagnostic DBT, unilateral or bilateral [list separately in addition to G0204 or G0206]) should be reported. This code can be used in conjunction with either HCPCS code for diagnostic 2D digital mammogram (G0206, G0204). It includes an examination of either one or both breasts. When billing non-Medicare payers, the tomosynthesis can be reported with CPT code 77061 (unilateral) or 77062 (bilateral). A note in the CPT manual indicates that these codes should not be reported together with 3D rendering (76376, 76377) or screening mammography (77057). Note that G0279 is an add-on code that can be reported only in conjunction with 2D mammography, but 77061 and 77062 can be reported as stand-alone services. Medicare will reimburse for code G0279 but does not cover 77061 or 77062. Occasionally, a patient may undergo diagnostic tomosynthesis on the same day as screening tomosynthesis. The Fall 2014 edition of Clinical Examples in Radiology provides the example of a patient who undergoes screening mammogram with tomosynthesis due to dense breasts and is called back due to an abnormality, at which time "additional diagnostic DBT, such as a true lateral DBT" is performed. In that situation it is appropriate to bill both the screening and diagnostic mammogram and tomosynthesis codes. Modifiers will most likely be required to indicate that both studies were actually performed. As always, payer guidelines prevail for modifier assignment. According to the previously mentioned publication, if computer-aided detection (CAD) and tomosynthesis are both performed, corresponding CAD codes may also be assigned. While this may be appropriate from a coding perspective, the first quarter National Correct Coding Initiative (NCCI) edits bundle the screening CAD code (77052) into the screening tomosynthesis code (77063) and this edit cannot be bypassed with a modifier. There are no NCCI edits for diagnostic CAD performed in conjunction with tomosynthesis. Fortunately, based on input from the ACR and other radiology professional societies, the screening tomosynthesis-CAD edit will be deleted in the April 1, 2015, (second quarter) update of the NCCI and will be retroactive to January 1, 2015, according to a January 30, 2015, release from the ACR. Every organization will need to obtain guidance from their Medicare contractor to determine how services performed in the first quarter of 2015 will need to be handled for proper claim resolution. Whether a postprocedure mammogram can be billed has been a frustrating and challenging issue for several years. The guidance has changed several times, adding to the confusion, and unfortunately 2015 yielded yet another change in guidance. In the 2015 edition of the NCCI policy manual, chapter 9 states: "If a breast biopsy, needle localization wire, metallic localization clip, or other breast procedure is performed with mammographic or stereotactic guidance (eg, 19081-19082, 19281, 19282), the physician should not separately report a postprocedure mammography code (eg, 77051, 77052, 77055-77057, G0202-G0206) for the same patient encounter. 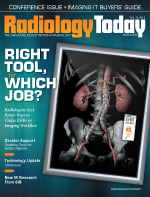 The radiologic guidance codes include all imaging by the defined modality required to perform the procedure." As a reminder, the NCCI policy uses the word "physician" to represent any type of entity providing designated health care services, including hospitals, so this guideline does apply to facilities as well as physicians. While there is other recent guidance including the June 2014 edition of CPT Assistant, which states that a medically necessary postprocedure mammogram can be coded if the procedure was performed "with a modality other than mammography," it is important to remember that CMS guidelines must be followed and the NCCI guidance is the latest authoritative guidance. Occasionally, a surgeon or other specialist may perform a mammographically guided breast procedure. In this case the radiologist may report the professional component of the postprocedure mammogram since the radiologist did not perform the breast procedure. However, the facility may not report the mammogram since it is bundled into the mammographic guidance. In the nonhospital setting, there must be an order for the postprocedure mammogram from the patient's treating physician. Also, the Mammography Quality Standards Act requires the facility to notify the patient about the results of any diagnostic mammogram, including one performed following a procedure. Two new breast ultrasound codes were introduced in the 2015 edition of the CPT manual to replace the long-standing breast ultrasound code 76645. These codes are differentiated as complete and limited, not unilateral and bilateral as one might expect. Specifically the codes are defined as follows: 76641 (ultrasound, breast; unilateral, real time with image documentation, including axilla when performed; complete) and 76642 ( …; limited). The CPT manual states that in order to report a complete study (76641), the exam must include all four breast quadrants and the retroareolar region. Examination of the axilla is not required but is included if performed. If all of the components of a complete study are not performed, the exam must be reported as a limited study (76642). For example, examination of one, two, or three quadrants should be reported as a limited study. Code 76642 includes examination of the axilla if performed. Both 76641 and 76642 represent unilateral exams and can be reported only once per breast, per session. Under the Medicare Physician Fee Schedule these codes are designated as bilateral status 1, which means that the provider will receive 150% of the payment for a single side if the code is reported with modifier 50, with modifiers RT and LT, or with two units of service. The September-October 2014 issue of the ACR's Radiology Coding Source states that bilateral breast ultrasound exams should be reported with "the appropriate modifier (eg, RT, LT)." Since different payers have different preferences as to how bilateral studies are to be billed, it may be necessary to query the payer as to which method should be used. Do not assign either code (76641 or 76642) if the exam is limited to the axilla. The CPT manual states that ultrasound of the axilla without breast ultrasound is reported as a limited extremity ultrasound study (76882). It is important to evaluate exactly the types of ultrasound exams that are being performed and not automatically seek to assign every study as a "complete" exam. Additionally, it is critical that the radiologist's documentation includes a discussion of all four quadrants if a complete study is being billed. There have been no procedure code changes for 2015, but there have been some updates to how bilateral procedures are reported and paid. • The biopsy and localization codes are to be reported per lesion. • When multiple lesions are biopsied or localized using the same imaging modality, the first lesion is reported with the base code for that modality, and the additional lesions are reported with the add-on code for the modality, regardless of whether the lesions are located in the same breast as the initial lesion or in the opposite breast. • When multiple lesions are biopsied or localized using different imaging modalities, one base code should be assigned for each modality used. Any additional lesions biopsied or localized with that modality should be reported with the add-on code. • Modifier 50 should be applied only to codes 19100-19120. This range includes "blind" percutaneous breast biopsy as well as a number of open procedures. Despite the change in CPT guidelines, the 2015 Medicare Physician Fee Schedule Relative Value Unit table indicates that the biopsy and localization codes are still eligible for bilateral billing and the professional component will be paid at 150% of the amount for a single side when billed bilaterally. Coders should continue to watch for payer guidance about bilateral breast procedures. This year has definitely been a challenging one for the coding and billing of breast imaging. As acceptance of tomosynthesis continues to grow in the industry, we should see commercial payers begin to publish policies that allow for coverage and reimbursement. Radiology is not a clinically stagnant specialty, which means that we will continue to see new codes, new guidance, and hopefully additional reimbursement.